Hey remember me from last year? Well, I’m back. And this year, I should have a lot of friends showing up. Eat lots for me. I grew up on freshly cut asparagus and it is so special! 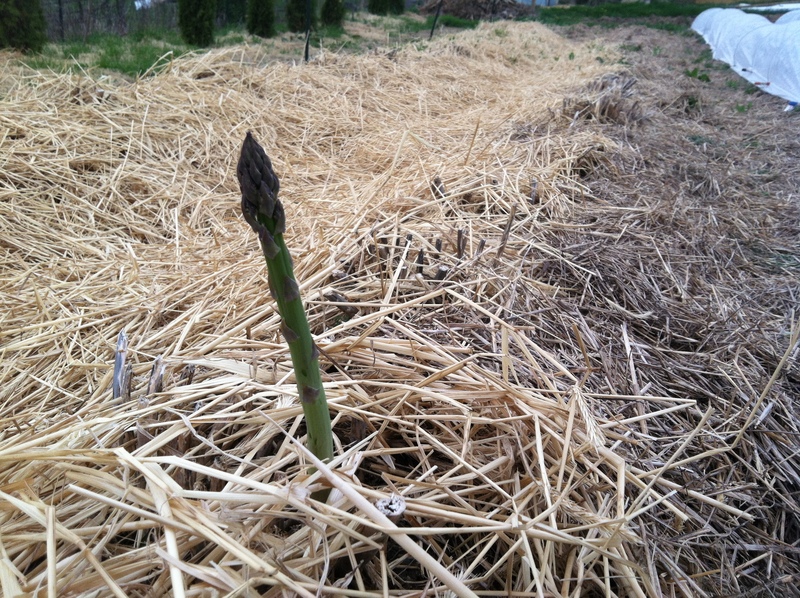 We got our first spears this year, They are so yummy I have planted a whole new asparagus bed! We love it! Good luck with yours! Thanks! There is nothing like fresh asparagus! So very delicious. Makes us want to plant more each year. Enjoy your and thanks for commenting!